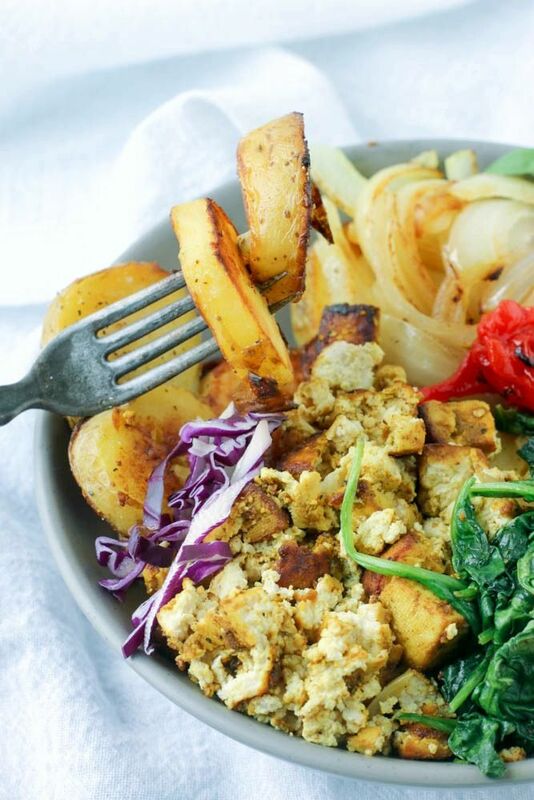 This savory breakfast bowl pulls out all the stops: lightly seasoned potatoes, scrambled tofu & veggies galore. Finally a breakfast worth waking up for! Buddha Bowls, Macro Bowls or Hippie Bowls (whatever you choose to call them) are hands-down one of the most popular food trends right now, and with good reason. They are easy to make, convenient and versatile…just fill them up with a protein, carbs + your favorite veggies and you’ve got a healthy, satisfying meal. 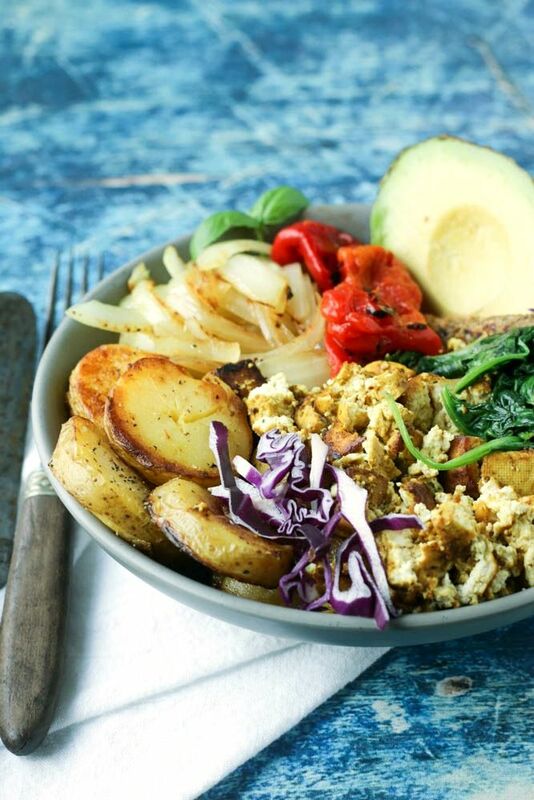 Like this savory potato breakfast bowl, chosen specifically to get you out of bed and excited for breakfast. This savory potato breakfast bowl idea has been churning in my brain for a while now and I finally had to share it! I mean, I just couldn’t let you go on eating another boring bowl of cereal when you could be eating this amazing bowl of roasted potatoes in all its glory! What kind of friend would I be if I did that? Especially when you can make this in less than 30 minutes, when using Side Delights Steamables. You may have seen me use these cute little potatoes before in my Mexican Potato Salad, but if you missed that one let me give you a quick recap on why I love using Side Delights in my recipes. Triple-washed – so I don’t have to do any scrubbing! 8 different types of potatoes to choose from- making every recipe possible! 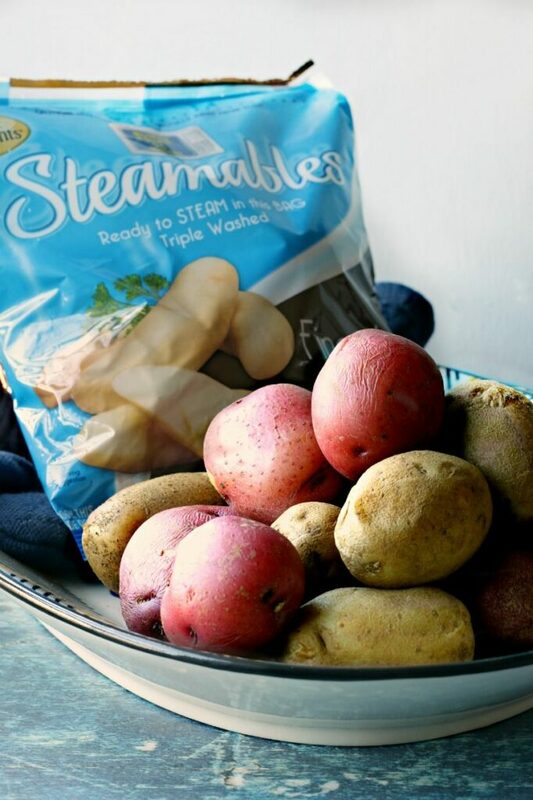 I’ve even remade several of my potato recipes using these Steamable bags. Let’s see…there was the Hasselback Baby Potatoes, and the Cauliflower Mashed Potatoes and then there was the Salt & Vinegar Smashed Sweet Potatoes. We just really like potatoes in this house, especially when we don’t have to spend hours preparing them. That being said, my savory potato breakfast bowl took a whopping 8 minutes to prepare & another 20 to roast! Gotta love that . This is where those multi-tasking skills comes in….but don’t worry, it’s not difficult AT ALL! Steam your potatoes & prep your veggies (whatever you want to use like onions, mushrooms and peppers). When the potatoes are almost done, take them out of the microwave and season them with your veggies then spread evenly on your sheet pan. Cook 15 minutes. In the meantime, make your scrambled tofu and lightly steam the greens and don’t forget your avocado. Divide everything between 4-5 bowls and serve nice + hot! 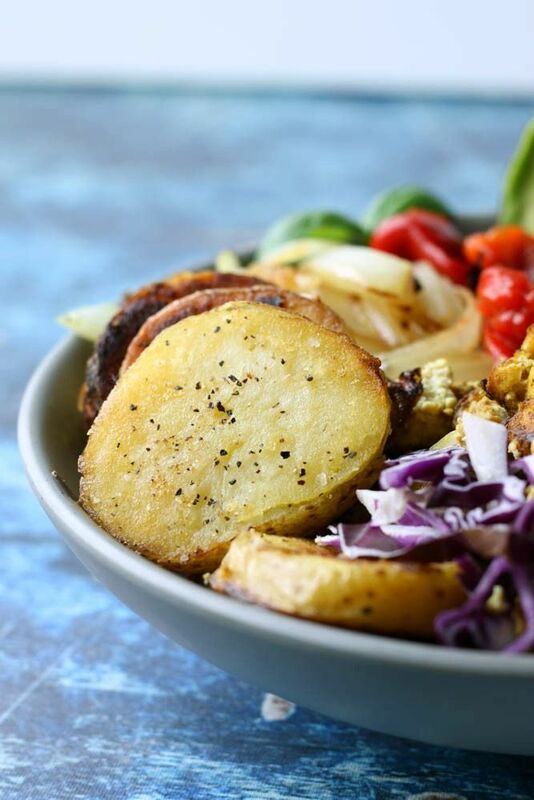 Feel free to make this #powerpotatobowl your own and fill it up with your favorite ingredients. For my bowl, I chose to add raw purple cabbage for some extra crunch and vegan sausage for that “southern food” flare. Simple food, yet so delicious. Looking to make your mornings a little smoother? 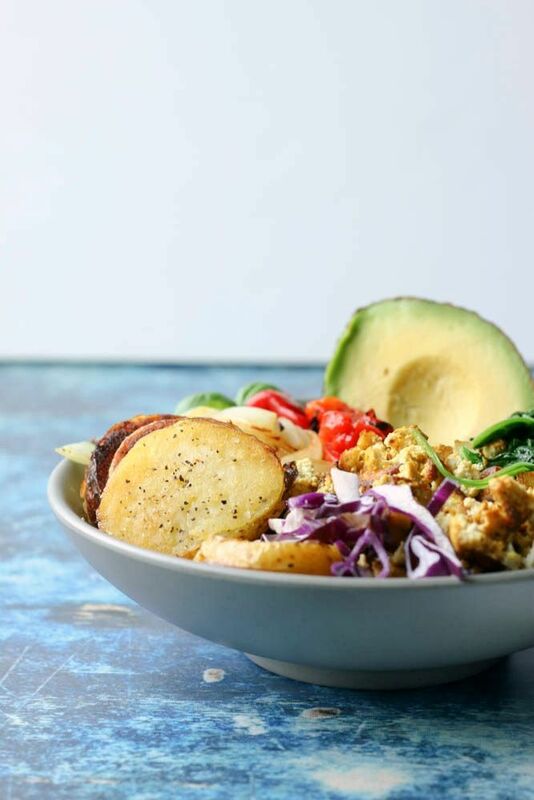 Try making a batch of these Savory Potato Breakfast Bowls on a Sunday then simply reheat in the microwave for a minute or two during those crazy weekday mornings. It’s so easy that even the kids can do it themselves, which gives you time to put on your mascara! Savory Potato Breakfast Bowls are full of filling, hearty ingredients to power you through your morning. 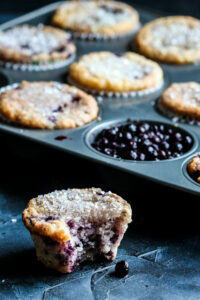 This vegan and gluten-free recipe is also freezer-friendly! 1 package of vegan sausage, sliced into thirds. Preheat oven to 400 °. Microwave bag of Steamables potatoes for 6 minutes (not 8 per bag). Meanwhile, pat tofu dry and wrap with a few paper towels. Lay a heavy pan on top and let sit 10 minutes. While the tofu is being pressed and the potatoes are in the microwave, prep your veggies & cut “sausage links”, if using. Place sliced onions, mushrooms “sausage” links on one half of your sheet pan, being sure to keep them separate. Remove steamed potatoes from bag and cut into medium-sized rounds. Add potato rounds to the other half of your sheet pan. Drizzle veggies & potatoes with a little olive oil. Add a sprinkling of salt, pepper and garlic powder then carefully stir, making sure to season all of them. Let cook 20 minutes in the oven. We want these potatoes crispy. Meanwhile, unwrap tofu and break into bite-sized crumbles. And add tofu to medium-sized, hot skillet. Sprinkle tofu with salt + pepper then cook 2 minutes before flipping to cook another 2 minutes. Remove from pan and add spinach with 2 tablespoons of water. Cook just until wilted. Take pan out of oven and divide potatoes between 4 bowls. Add your roasted onions, mushrooms, “sausage”, tofu eggs and wilted spinach in a pinwheel pattern. Serve nice and hot with a few slices of avocado. OR, allow to cool then place in a sealed container and refrigerate until needed. *Shorten your time in the kitchen by sautéing potatoes, onions and sausage links together in a large skillet, without doing this in separate steps. Transfer sauté to bowls then cook your tofu. Divide ingredients into 4 bowls. The end result will be more like a skillet but the end result will still be delicious. 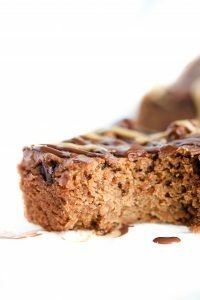 **This recipe is completely versatile. Feel free to change out your veggies, use real scrambled eggs if your diet or allergens allow and omit vegan meat option. I have no idea WHY I haven’t visited your blog prior to today! I’m LOVING it here! Hope you don’t mind that I add you to my blogroll and visit often! This bowl looks amazing! I have been looking for more breakfast bowls to dive into and this one looks like a ROCKIN’ place to start! I’m so glad you did visit!!! Please keep me posted along the way if you have any questions about anything and I always love to hear feedback if you loved or changed a recipe or two. Can’t wait for you to try this bowl. I think I remade it 3x in a week because my kids kept requesting it. Those potatoes look absolutely perfect! They drew me in right away. I need to try steaming my potatoes before baking them to get that perfect soft to crusty ratio. Oh my my! I think I’ve found a new breakfast idea for the family. This is perfect as we tend to eat dinner for breakfast often because of our limited diet. Can’t wait to try this recipe! Breakfast for dinner is one of our favorites! 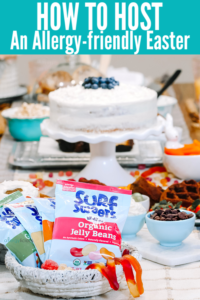 SO glad you are able to find another recipe for your family. This looks so wonderful. I enjoy potatoes any time of day! What vegan sausage do you use Nicole? Yum! 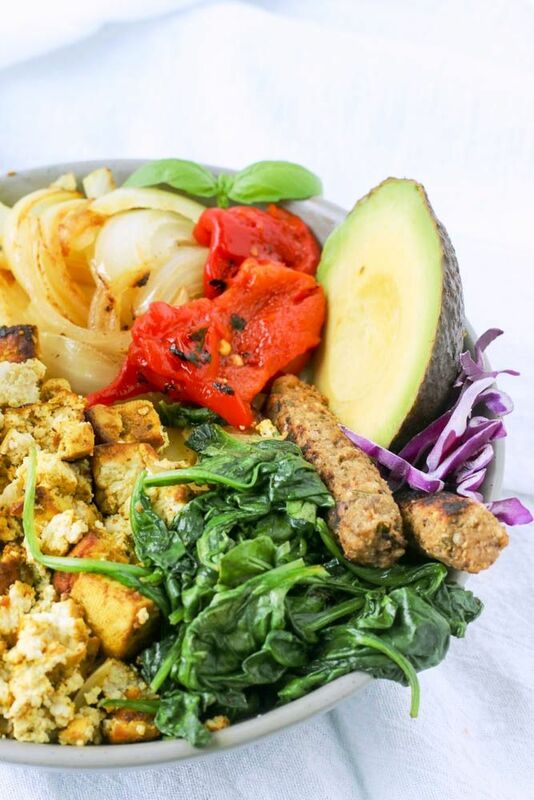 I love a good breakfast bowl and this one looks terrific! I love these potatoes – they’re so handy! And this bowl looks like the perfect breakfast to me! Thanks Jules! Yes, these potatoes do come in quite handy for cutting down prep and cooking time.